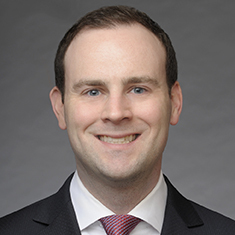 Geoffrey King focuses his practice on all aspects of complex corporate restructuring, workouts, chapter 11 proceedings, distressed asset acquisitions and bankruptcy-related litigation. His clients include large and mid-sized corporate debtors, unsecured creditors, senior secured lenders, junior lenders, purchasers and other interested parties. Geoff has significant experience in representing debtors and other key constituencies in every aspect of chapter 11 proceedings, including contested plan confirmation litigation, plan valuation issues, adversary proceedings, contested debtor-in-possession financing and cash collateral litigation, and complex plan settlement negotiations. Representing senior secured lenders, he has particular experience with debtor-in-possession financing, credit bidding and debt-for-equity conversions consummated through a prepackaged chapter 11 plan. Additionally he has provided counsel on cross-border insolvencies for chapter 15 debtors, and has advised on restructuring and bankruptcy-related issues as part of mergers and acquisitions and internal corporate reconfigurations. Geoff is also active in pro bono activities and was recognized for his representation of US military veterans across numerous matters. While in law school, he served as associate editor of the Northwestern University Law Review. Shown below is a selection of Geoffrey’s engagements.